The Southland Music Line was formed with one prominent goal – To search out the entire “South” for the best music, best musicians and best live music venues. We called our mission “A Southern Pilgrimage in Search of the Best Music”. The same goes for me. I’m often asked “do you ever just stay home and watch T.V. or sleep?” Of course, I do spend time doing other things besides attending music events, but when home I spend much time writing and researching about music, scheduling road trips or a weekly itinerary of shows to be seen. 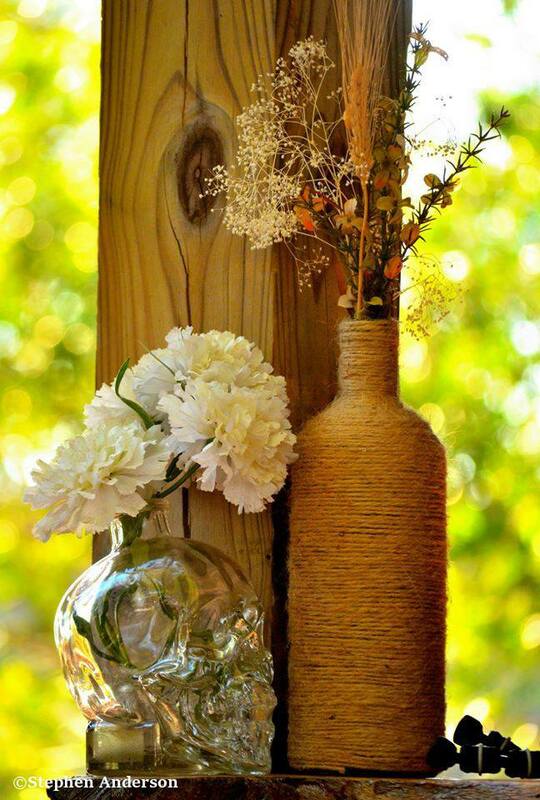 And above all, listening to music. The lengthy phone conversations about music with Stephen and other friends like Doug Sholes, Bobby Rayborn and others are enjoyed too. As the music world told everyone what they should be listening to or what they wanted people to think was good, we at The Line often turned the other way. Despite the normal trends in music, some of what was hot in 2014 (commercially and/or critically) was still actually good. Even the year’s top selling album Taylor Swift’s “1989” (which surpassed the “Frozen” soundtrack in the final tracking week of 2014) was worthy of its positive reviews. Those with #1 albums in 2014 that were actually good: Jack White’s “Lazaretto”, Tom Petty & The Heartbreakers’ “Hypnotic Eye”, Miranda Lambert’s “Platinum”, Bruce Springsteen’s “High Hopes”, Lana Del Rey’s “Ultraviolence” and already mentioned Taylor Swift’s “1989”. Still though, the vast majority of what is pushed down to the public isn’t near as good as many of the musicians The Line sees, each and every week. Sadly, there is a large number of people who never get to see these talented musicians. During the first weeks of the year, The Line continued its quest searching for good music. A February show by Jason Isbell was one of our early favorite concerts for 2014. February was a busy month including the Atlanta bound trip to see Larkin Poe at Terminal West. The Line’s friends, Rosco Bandana, was also on the ticket. Larkin Poe teamed up with their friends, The Shadowboxers, to do a cover of Fleetwood Mac’s “The Chain” which was quite frankly, one of my favorite music moments of the year. Attending SXSW is a must for music fans. You never know who’ll you see perform. Some of those we saw: Lincoln Durham, James McMurtry, Vintage Trouble with Carolyn Wonderland, Los Lonely Boys, The Doors’ Robby Krieger, Slash, Dave and Phil Alvin. Lucinda Williams, Charlie Musselwhite, Booker T. Jones and others. We enjoyed several young bands like Cheers Elephant, Roo & The Howl, Mandolin Orange and others. Also, Mississippi’s own Rosco Bandana performed one of their best shows ever. During SXSW, Robby painted at what would become one of his favorite venues of 2014 – “Sam’s Town Point”. A true to Texas kind of place. It’s common for us to travel several miles to reach a second concert or event on the same day. Robby Amonett did so on New Year’s Eve – Willie Sugarcapps in Fairhope, AL and then 75 miles away to see The Dig perform in Ocean Springs, MS.
Stephen and I did the same on Saturday, April 12 by seeing Willie Sugarcapps at a festival in Magnolia Springs, AL during the day, then driving 13o miles to T-Bones Records in Hattiesburg, MS to see a “one of kind show” by The Lone Bellow. Stephen and I both listed it as the year’s most memorable night of music. Also on the T-Bones Records ticket was Oh Jeremiah. We would see both The Lone Bellow and Oh Jeremiah more in the coming months. We continued our year seeing shows at many of our favorite music venues – Jack’s by the Tracks (Pascagoula, MS), Irish Coast Pub (Gulfport, MS), Callaghans (Mobile, AL) and others. 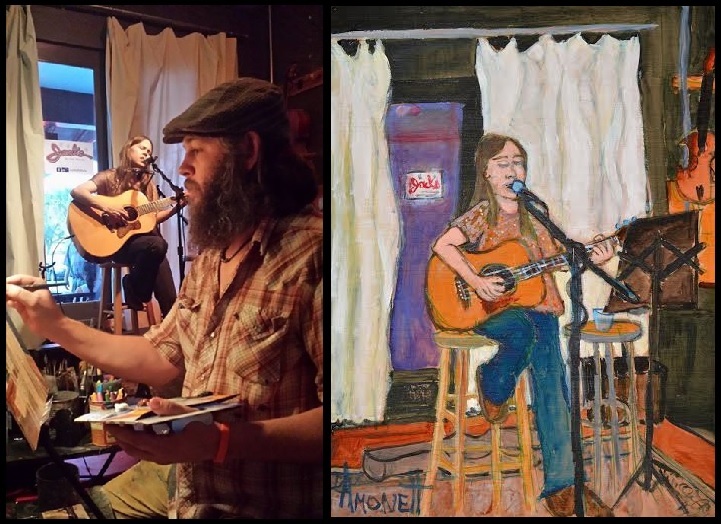 Living along the Gulf Coast has its rewards and one of them is the wealth of incredible talent. Nearly every night of the week a talented artist or group is performing within a close proximity. 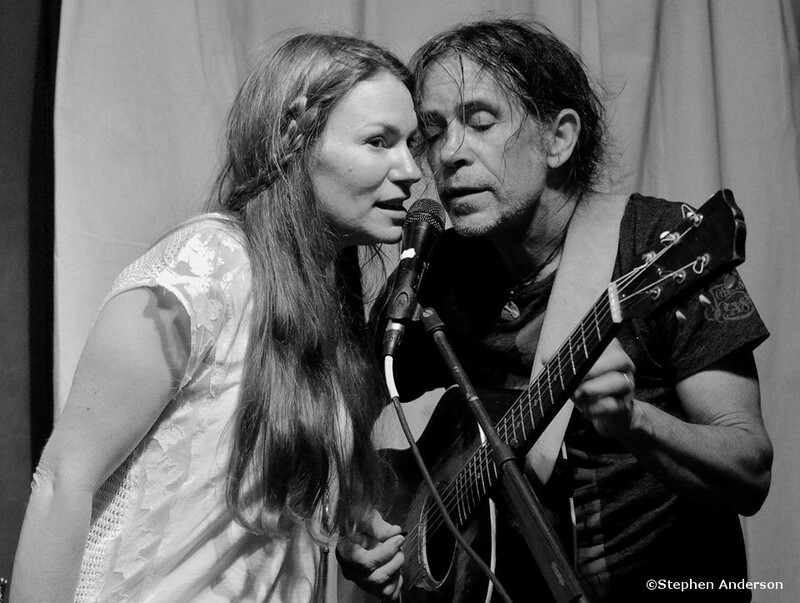 Being able to see musicians like Sugarcane Jane (Anthony and Savana Lee Crawford) on a regular basis fulfills the need for ‘real music’. Anthony has a long history performing with some of biggest stars in popular music. (e.g. Neil Young, Steve Winwood, Dwight Yoakam and Sonny James). He has mastered the art of playing a variety of instruments and writing great songs. The blending of vocals between he and Savana is something special. (They are also part of Willie Sugarcapps). 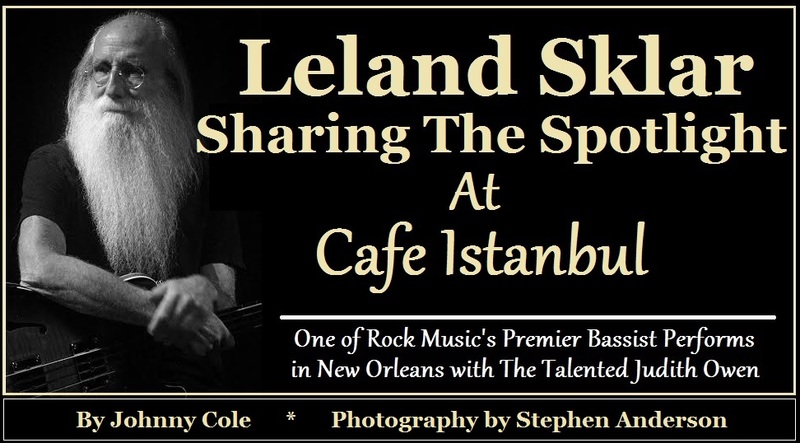 As Summer approached The Line had the privilege of seeing the great legendary bassist Leland Sklar perform with Judith Owen at Cafe Istanbul in New Orleans. The Line would head off on the road in June in what we labeled “The Line’s Midsummer Mini Tour of The Southland”. Along with friend, Bobby Rayborn, The Line was able to see singer-songwriter Chris Knight at Duling Hall in Jackson, MS; Dave Rawlings Machine (which featured Dave Rawlings, Gillian Welch, Willie Watson, Paul Kowert and the legendary John Paul Jomes) at The Ryman Auditorium in Nashville, TN; and Billy Joe Shaver and Otis Gibbs at The Shed (Smoky Mountain Harley-Davidson) in Maryville, TN. * Just days earlier Robby Amonett saw Billy Joe Shaver at Duling Hall during his 4 night stay in Jackson seeing Kim Richey, Robert Earl Keen and others. Besides SXSW, several music festivals would be attended during 2014: 30A Songwriters Festival, South Sounds in Mobile, AL, Mississippi Songwriters Festival, Gulfport Music Festival, Lawnaroo, L.A. “Lower Alabama” Songwriters Festival and of course the New Orleans Jazz & Heritage Festival (we attended Eric Clapton’s Jazz Fest performance). We attended two festivals featuring The Line’s 2014 “Artist of the Year” Willie Sugarcapps: Magnolia Springs Seafood Celebration (Magnolia Springs, AL) and “Wash Hole Jam” in Brewton, AL. Also in 2014, we traveled to the Mississippi Delta to attend B.B. King’s Final Indianola Homecoming Festival. 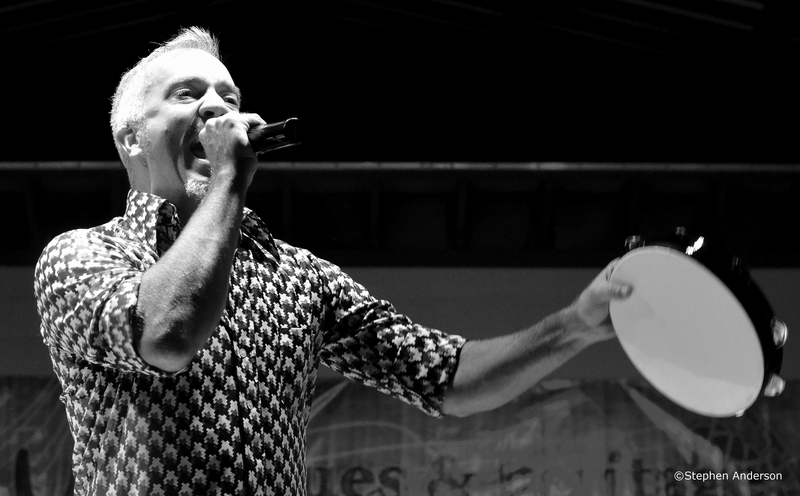 Later in the year, the Bogalusa Blues & Heritage Festival could not have been more fun. JJ Grey & Mofro, Devon Allman, Johnny Sansone, Mike Zito & The Wheel, the Ruthie Foster Band, and others provided audiences with a great show. There were other such events, small and large, that helped shape our year of music. While on the road, some of those seen: Hard Working Americans (Birmingham, AL), Larkin Poe (Twice to Terminal West and once at the historic Avalon Theatre’s Stoltz Listening Room on a rainy night in Easton, MD); Wilco (Nashville); Bruce Hornsby (Nashville); Fleetwood Mac (Houston, TX and Atlanta, GA); Bruce Springsteen (Atlanta, GA). The Line had a few opportunities to see Scott Boyer and Tommy Talton of Classic Southern Rock’s “Cowboy”. Scott Boyer is the writer of the classic “Please Be With Me.” Their teaming up with Muscle Shoals musician NC Thurman for shows at Jack’s and Callaghan’s were two special evenings. 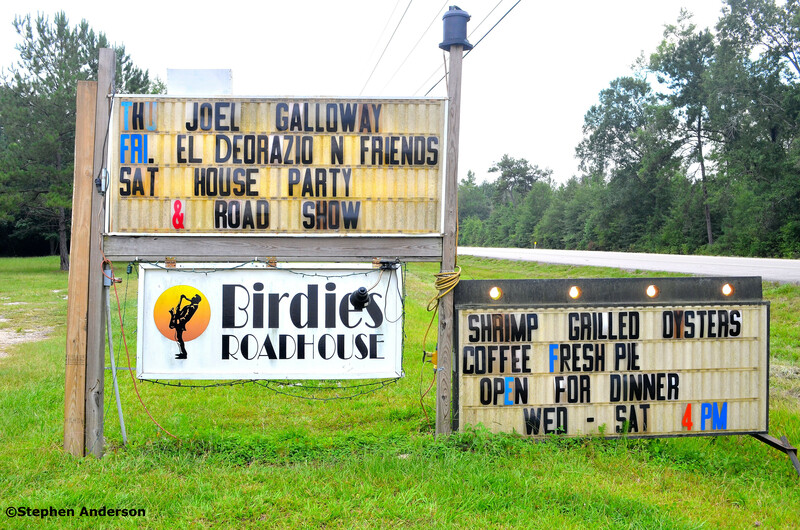 Acoustic House Party & Traveling Road Show’s performances at Birdie’s Roadhouse and The Mary C. were written about in September. Hopefully, we will get the chance to see Libby Rae Watson, Traveling Steve Gardner, Bill Steber and Wes Lee reunite again soon. Individually, each possess enormous talent and a real knowledge of The Blues. We were able to later see Libby perform with bluesman Doc MacLean at one of the best shows of the year at Jack’s by the Tracks. Several release parties were attended by The Line in 2014: Magnolia Springs EP release from Willie Sugarcapps; Larkin Poe’s release of their album “Kin”; and The Mulligan Brothers’ pre-release of their 2015 album “Via Portland”. 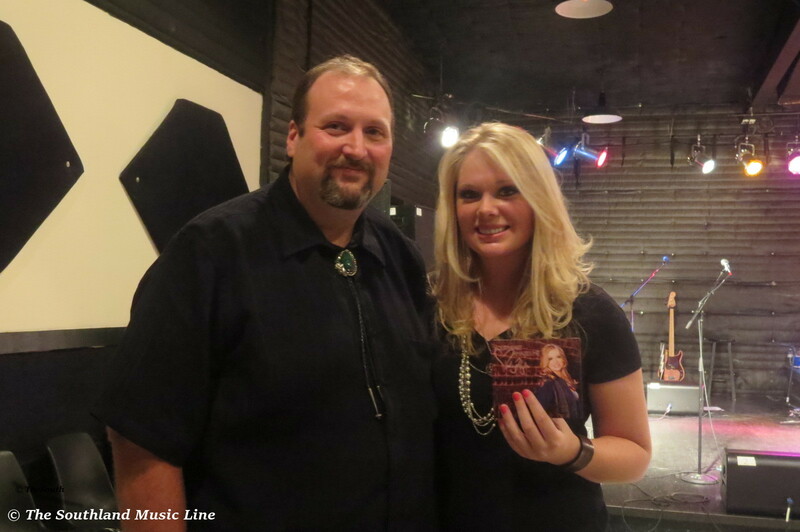 Also Country music’s (and subject of two articles written at The Line in 2014) Kelcy Hyde released her debut EP “Your Heart Amazes Me”. It was a real pleasure to attend her special event in Nashville and later interview this entertaining young artist. 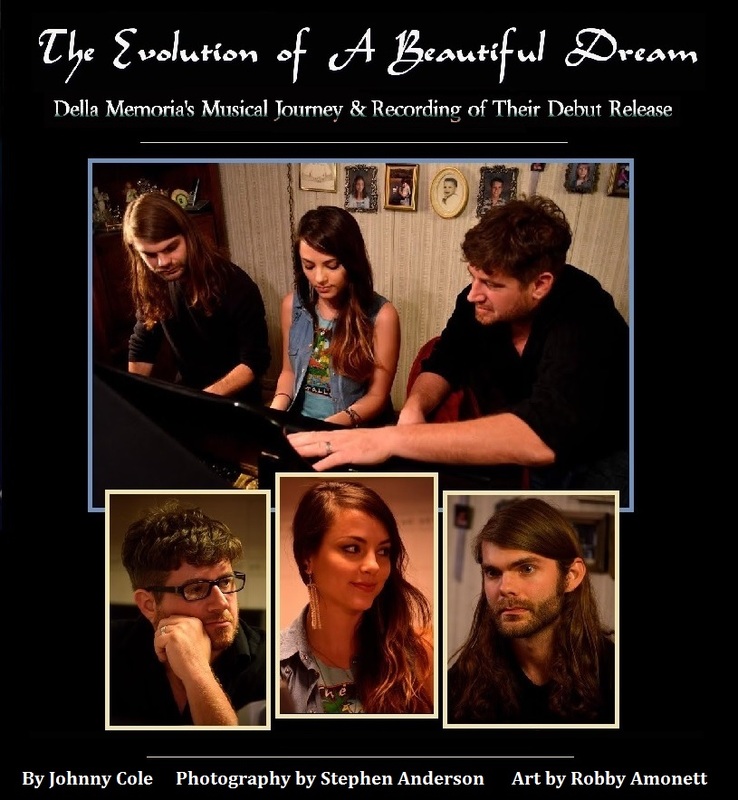 One of the highlights of the year for The Line was spending an evening with the band “Della Memoria” prior to the release of their debut EP “Beautiful Dream”. Having a chance to listen to the new EP before it was actually completed and visiting with the band (Emily Sholes, Josh Smith and Patrick Mcginley) along with the EP’s producer Justin LaFramboise was a real joy and will be remembered. The release party for the EP at Irish Coast Pub was a nice success. Speaking of Irish Coast Pub, The Line has enjoyed several of its Open Mic Night Mondays. Its a great way to spend time with musicians as they often practice new songs. Throughout 2014, Stephen, Robby, myself and others involved with The Line have seen many great shows and discovered incredible new music. Learning of talented artists new to you is always exciting. 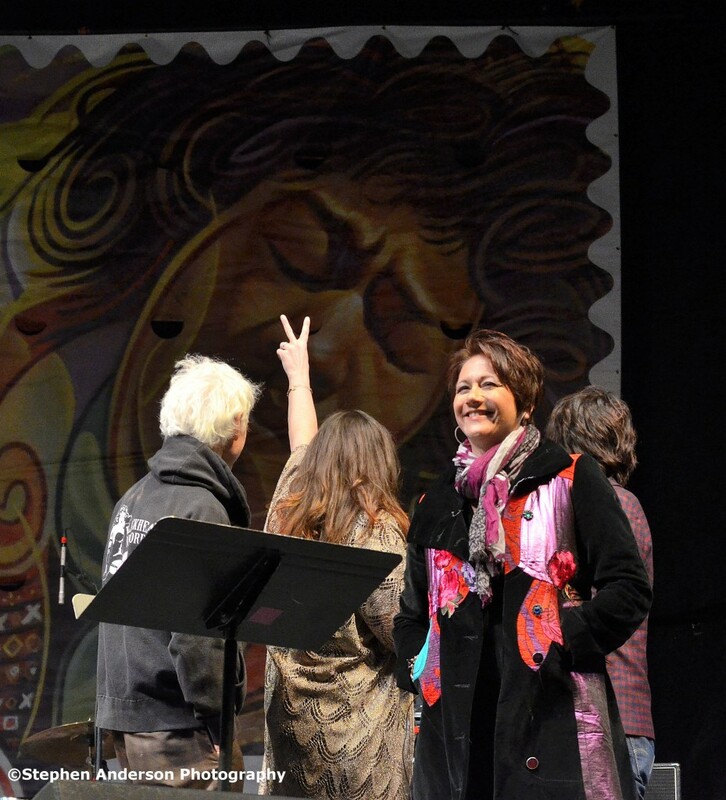 We learned of many like Bronwynne Brent, whom we once referred “with Bronwynne I can honestly say she is one of Contemporary Folk music’s most shining stars.” We still feel that way. Watching artists grow and evolve musically is marvel to witness. 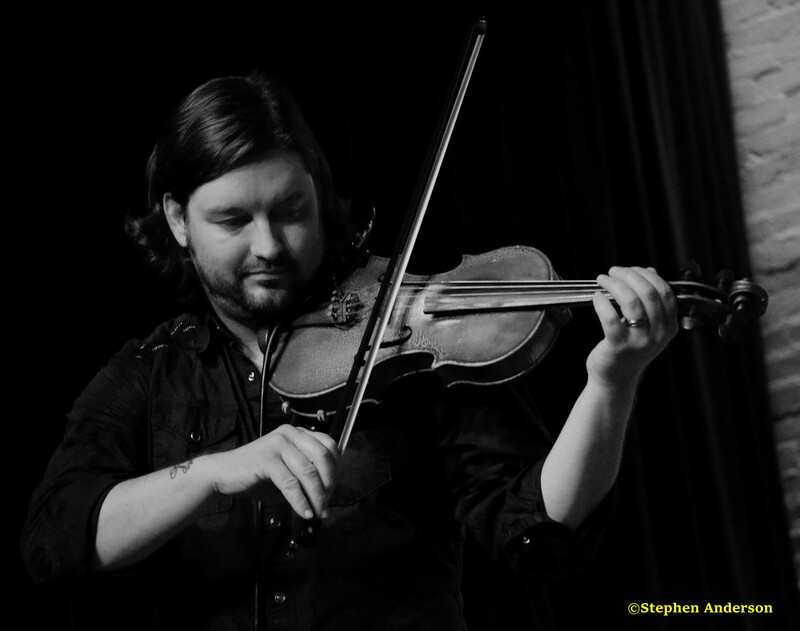 Singer-songwriter David Locklear has a new album coming out in the new year, yet has had an active 2014. The Mulligan Brothers are as they say “on their way”. The new album will officially be released in Jan. 2015. The album continues their well-crafted songwriting and gifted skills as musicians. Those hard-working, constant performing and touring Banditos were signed by Bloodshot Records in 2014 – things continue in the right direction for this deserving band. We are looking forward to seeing what’s next for many artists such as Sara Jean Kelley, The Hello Strangers, HanaLena, Mr. Sipp “The Mississippi Blues Child”, Grady Champion, Oh Jeremiah, Bantam Foxes, The Wooden Wings and others. 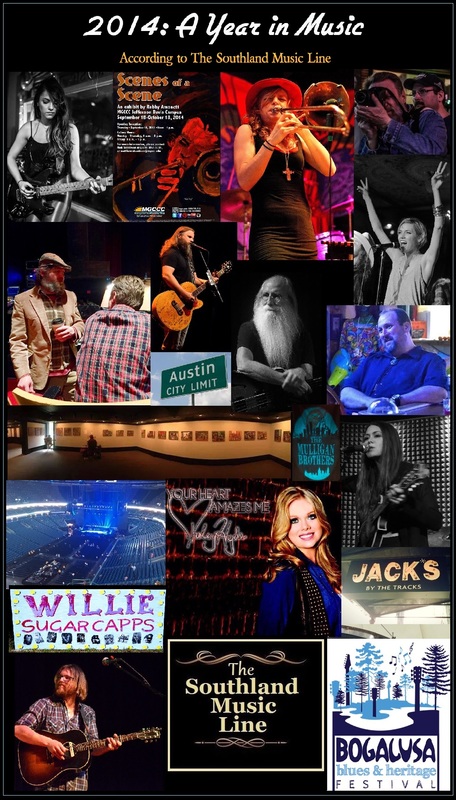 We named Willie Sugarcapps as “Artist of the Year” for a number of reasons – obviously, for how often we enjoy seeing these musicians perform together or alone. During a festival in Brewton, AL, each part of this supergroup, rooted in what makes the Gulf Coast and Deep South special, performed separate before uniting as Willie Sugarcapps as the evening progressed. This is when we realized Willie Sugarcapps was the right choice for Artist of the Year. 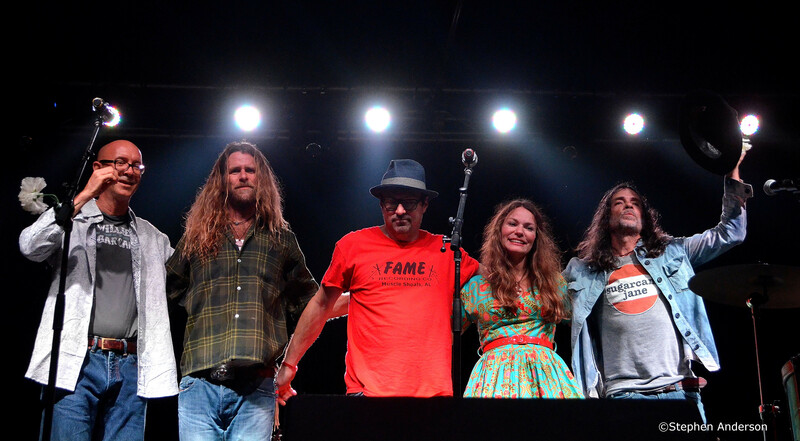 Having seen Grayson Capps along with Corky Hughes perform many times, the same with Will Kimbrough and of course, Sugarcane Jane (we saw them more than anyone else in 2014), it became truly apparent they were all deserving of this title. The Frog Pond at Blue Moon Farm with its always entertaining Sunday Socials gave birth to Willie Sugarcapps and laid the groundwork for a place that provides the region and America one of the premier music destinations. A bonding of friends, fans, musicians and incredibly good times – the Frog Pond is certainly a place to visit where you won’t be disappointed! We want to thanks our readers, friends and fellow music fans. We are looking forward to more in the coming new year. We invite you to climb aboard The Southland Music Line in our continued search and journey across The South. Tagged Southern Music, Southern Music Festivals, Southern Music News, Southern Music Scene, Southern Music Venues, Southern Musicians.